In May 2010 we met Sherry Ellis when she was featured during a Surprise Party. I wanted to highlight Sherry once again to celebrate her birthday. 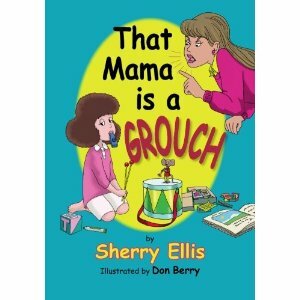 Since the interview, her second book, That Mama is a Grouch , has become available. That Mama is a Grouch begins with Mom tripping over a big mess of toys in the living room. She confronts her daughter about the situation and her daughter declares she is a grouch! The torment continues when the daughter makes a mess in the kitchen, plays music too loudly, and puts handprints on the wall. The book concludes with "The Grouch" and her daughter discussing a few rules to keep the house a happier place. This is a great book that will allow parents to discuss with their children appropriate behavior within the home and how some choices can cause frustration and stress with their parents. Sherry was recently interviewed on BlogTalk Radio on July 24, 2010. This is a great interview, however you need to be patient as there is about 10 minutes of music before the interview. In the interview, Sherry discusses how both of her books came to be published, her latest music and book endeavors, and local Pajama Party Story Times she organizes to promote her books! 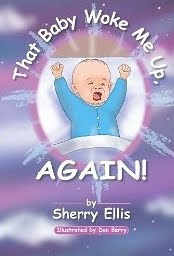 Watch for additional updates on her website www.sherryellisbooks.com or on Facebook. 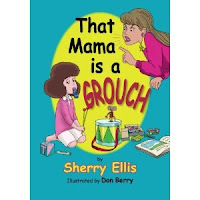 Thank you to Sherry Ellis for providing a copy of That Mama is a Grouch. The winner was Tomi and she is a Google Friend Connect follower. Thanks to all those who entered. Visit Sherry Ellis on Facebook and her websitewww.sherryellisbooks.com. I have read "That Mama is a Grouch." As a grandmother of five little ones having new ways to teach the grandchildren about rules and good behavior when visiting is helpful. That Mama is a Grouch addresses house rules. Boy...another great one to add to my list..plus her newest one coming out sounds exciting as well!! I just joined JF a couple weeks ago and she so kindly extended me a warm welcome!! What a nice B-day tribute for her!!! Happy Birthday Sherry!! Hmm. Broken toes and things flying and a grouchy mama? I may need to let my foot heal from a recent incident before reading this one. Sounds like a fun book. I'll add both to my TBR list. Thanks Stacy! What happened to you -- did you have a grouchy mama moment?